Mobilebet is the latest addition of brands from Co-Gaming Ltd. This casino is obviously targeting players that prefer to plat this high-class games catalogue on their mobile devices. But old-school players that still enjoy playing on desktops are also able to do so. Mobilebet house an outstanding portfolio of online casino games. These are provided by the leading games producers in the world including NetEnt, Microgaming, Playtech, Betsoft, Yggdrasil Gaming, Evolution Gaming, Thunderkick and Play’n GO. To the experienced online casino players, this collection of games ensures the highest quality of casino action in the combination with some of the highest Return-to-Player-Percentages available online. Players at Mobilebet can enjoy video slots, classic slots, table games like roulette, baccarat, blackjack, video poker and several different instant win games like scratch cards and keno. Mobilebet also offer a Live Casino product which is provided by Evolution Gaming. This is a great way of playing your favorite casino games by live stream from a real casino. If you like to get the thrills and excitement of sports betting than Mobilebet is a great place to be since they offer a great sports product where you can place bets on all sports, events and much more. Mobilebet is a very user-friendly casino that offer a great customer support which is available 24 hours a day, seven days a week. This team of online gambling expert is ready to assist players in multiple languages including English, Finnish, German, Norwegian and Swedish. You can contact them by live chat and email. Mobilebet is owned and operated by Co-Gaming Ltd which is registered in Malta. They are licensed and regulated by the UK Gambling Commission, the Malta Gaming Authority and the Government of Curacao. If you are a resident of the United Kingdom you are using the gambling products licensed by the UK Gambling Commission. Exclusive No Deposit Bonus at Mobilebet: 20 Casino Spins on Gonzo’s Quest – No Deposit Needed! CyberCasinoIndex.com offer an Exclusive No Deposit Bonus for new players at Mobilebet. This offer is not available anywhere else so make sure to grab 20 Casino Spins on Gonzo’s Quest (NetEnt) – No Deposit Required! All you have to do is to sign up at Mobilebet through CyberCasinoIndex.com! This offer is only available for NEW players residing in the UNITED KINGDOM, SWEDEN, NORWAY, GERMANY and FINLAND! Click here and join Mobilebet and collect 20 Casino Spins – No Deposit Required! Mobilebet New Player Welcome Bonuses! Players residing in the United Kingdom: Get 100% match up to £25 Casino! Great news for UK players! By joining Mobilebet you will get your first deposit matched by 100% up to £25. But please note that deposits made via Skrill/Moneybookers, Neteller, Paysafecard , Webmoney and Ukash e-wallets are excluded from this offer. The wager requirement is 35 times your total casino balance (deposit amount + bonus amount). If you prefer to use this bonus for sports betting, you will get the same match percentage on your deposit. However, the wagering requirements are different for betting so please check them out. Click here to read the terms and conditions if you are residing in the UK! Players residing in Finland: Get 200% Bonus on your first Deposit! That’s right! If you are residing in Finland, you are in luck at Mobilebet. New and eligible players in Finland will get a massive 200% match bonus on their first deposit. The minimum deposit is €20 and the wagering requirement is 35 times your total casino balance (deposit amount + bonus amount). Players residing in Germany: €10 No Deposit Bonus + €150 + 25 Casino Spins on Starburst! German players are in for a real treat at Mobilebet! Register your account and receive a €10 No Deposit Bonus! All you have to do to get your €10 free is to confirm your email and telephone number. You can use your free bonus on casino or sports betting. In addition to this you will also get a 100% match bonus up to €150 + 25 casino spins on your first deposit! The wagering requirement is 40 times your total casino balance. Players residing in Norway: 1st Deposit Bonus of 100% up to 3000 NOK + 200 Casino Spins on Starburst! 2nd Deposit Bonus of 50% up to 1500 NOK + 100 Casino Spins! If you reside in Norway you can get a fantastic welcome bonus package that covers your first 2 deposits. You will also get hundreds of casino spins on NetEnt’s Starburst slot. The wagering requirement for Norwegian players is only 35 times your total casino balance (deposit amount + bonus amount). 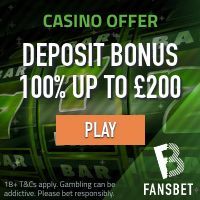 Players residing outside UK, Finland, Germany, Norway and Sweden: Get a 200% match bonus on your first deposit! Eligible players residing in countries not specified above will get a fantastic welcome offer of a 200% match bonus on their first deposit. If you deposit €10 you will get a casino balance of €30! The wagering requirement is 40 times your total casino balance (deposit amount + bonus amount). Mobilebet accepts all major payment methods including credit/debit cards, e-wallets like Neteller and Moneybookers Skrill, e-vouchers and several different regional direct bank transfer solutions. All transactions are processed in a safe environment, secured by the best encryption technology. Well, it’s safe to proclaim that online casino players that loves to spin the reels on the best video slots will be very happy at Mobilebet! Mobilebet have a games catalogue of some 600 games, over 500 of these are video slots which are provided by the very best games producers in the industry. Some of the most popular video slots at the moment are Mega Fortune, Dreams of Fortune, Jungle Jim El Dorado, Viking Age, Jekyll and Hyde, Big Blox and Karaoke Party. USA (including its territories), France (including its territories), Turkey, Australia, Curacao, Croatia, Spain, Sweden, Hungary, Ireland, Romania and Portugal.